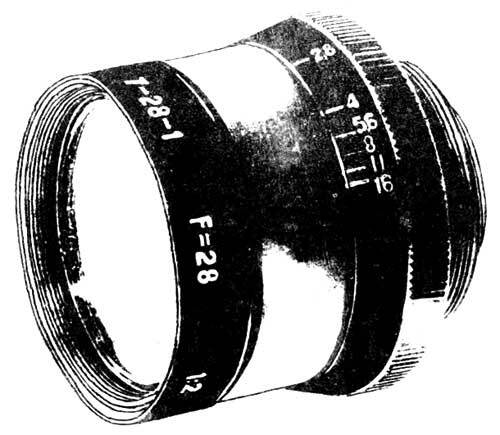 The OKS7-28-1 lens has extended back focal length of 32 mm. Optical construction is complex system consisting of 9 elements grouped into 7 components. Image quality corresponds to early OKS4-28-1 lens, bat OKS7-28-1 lens has longer back focal length.